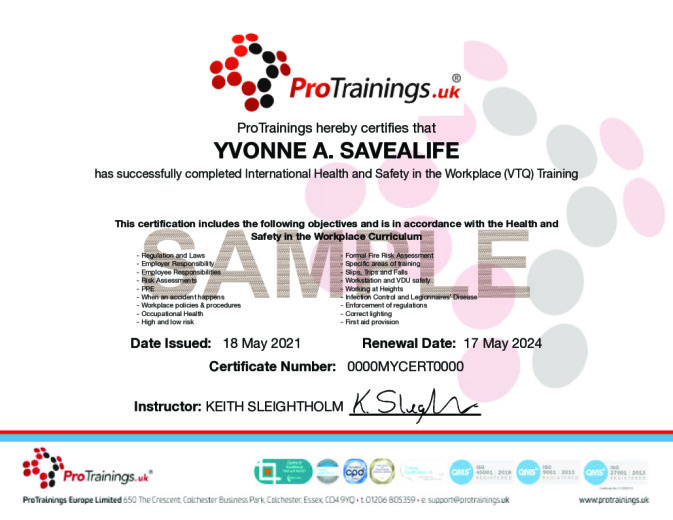 This is our international version of our Health and Safety Level 2 qualification that covers internationally accepted guidance mapped to the UK course but does not cover the UK regulations and laws. If you are in the UK, please complete our level 2 course. This course comes with 4.0 hours of CPD, although the time to complete the course online may be less than this. Total course time includes 2 hours and 55 minutes of video training as well as knowledge reviews, final test, remedial help and reviewing downloaded material.